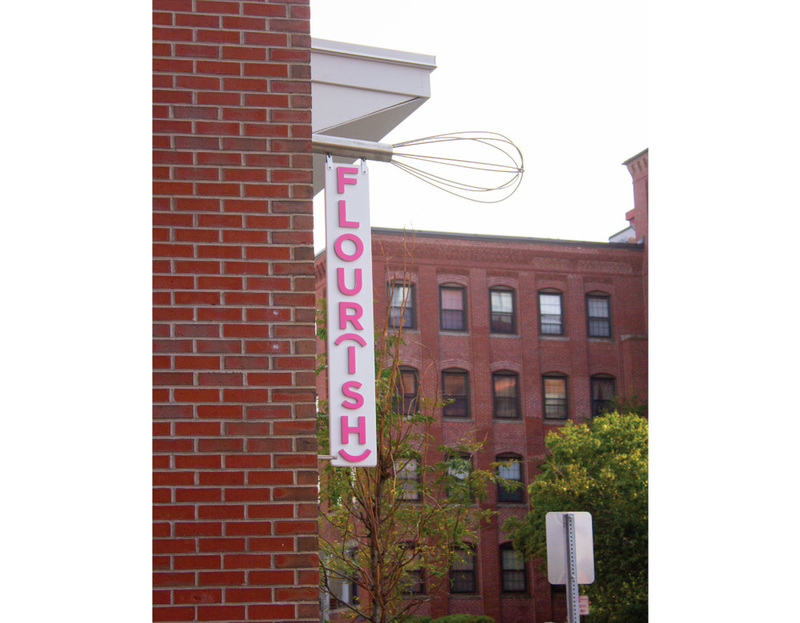 The owners of Flour(ish) wanted a complete design to fabrication package for their new upstart bakery in Beverly, MA. Everything from interior and exterior design, signage and branding was needed over the months-long project with full production and installation being finished under a tight deadline. Both owners had a good idea of what they wanted the business to look like and what product/quality they wanted to represent. 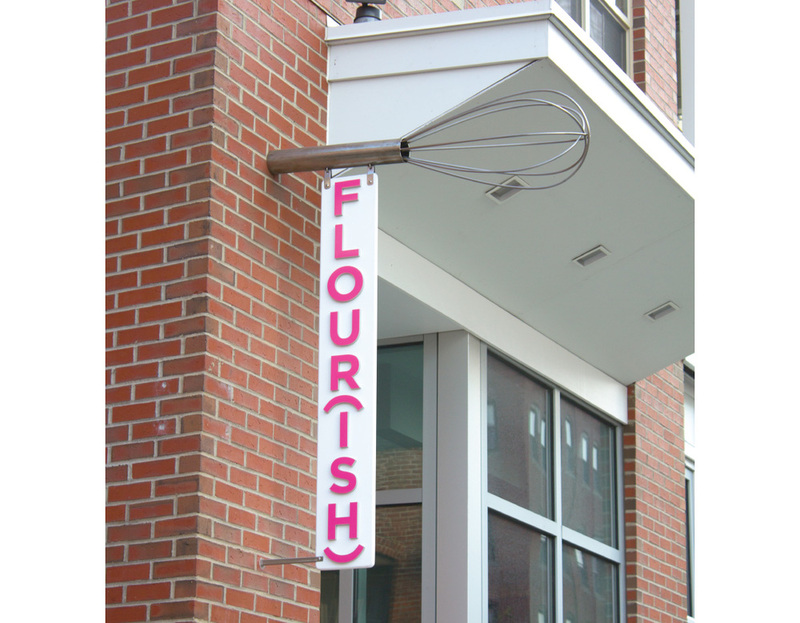 Once the color pink was settled on we moved on exterior signage and decided to do something totally custom, a 4ft stainless steel whisk with hanging metal letters. For the windows we wanted to show walking and driving commuters exactly what Flour(ish) carried so we opted for window vinyl that acted as a product list more than a logo. 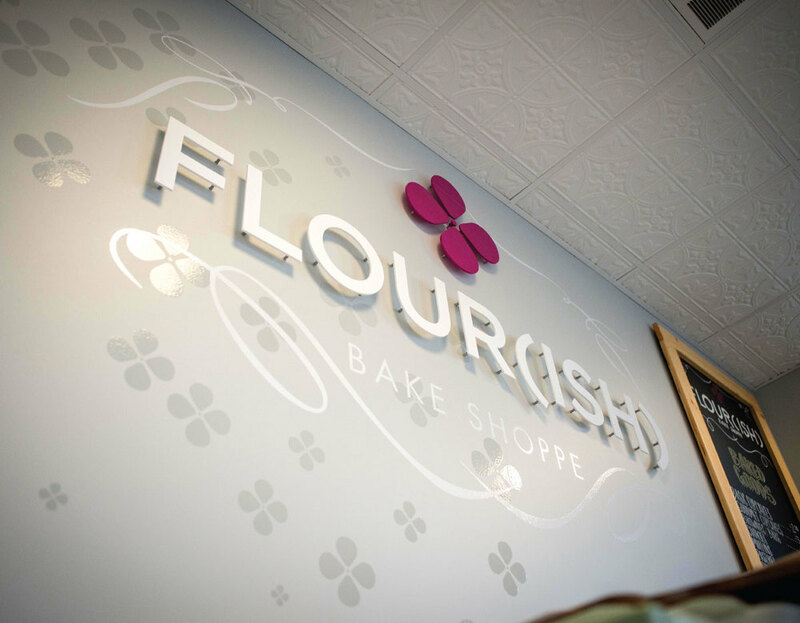 For the interior we carried the flower logo across all the walls in tonal gray with pink accents. 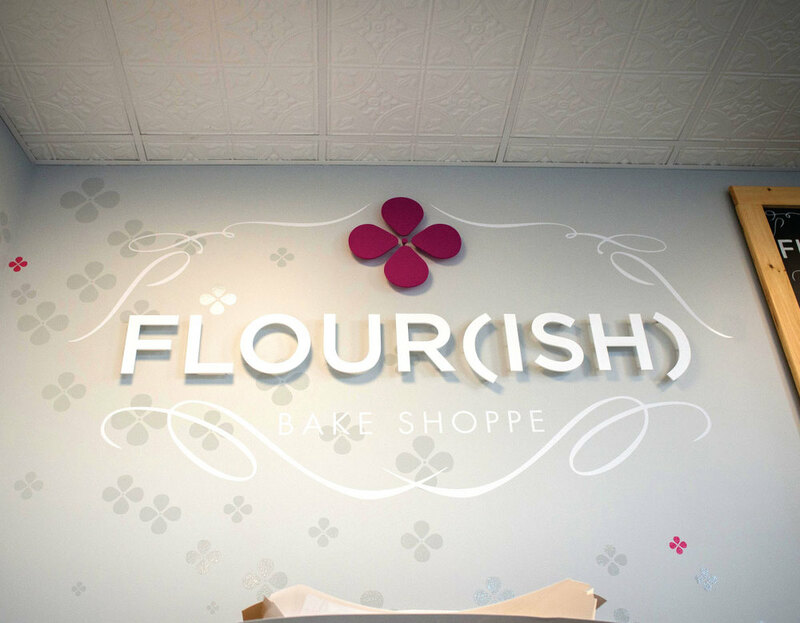 We added some vintage themed interior signage to compliment the vintage cabinetry and decor. A custom hand lettered chalk board was installed as well as another raised plexi wall logo. 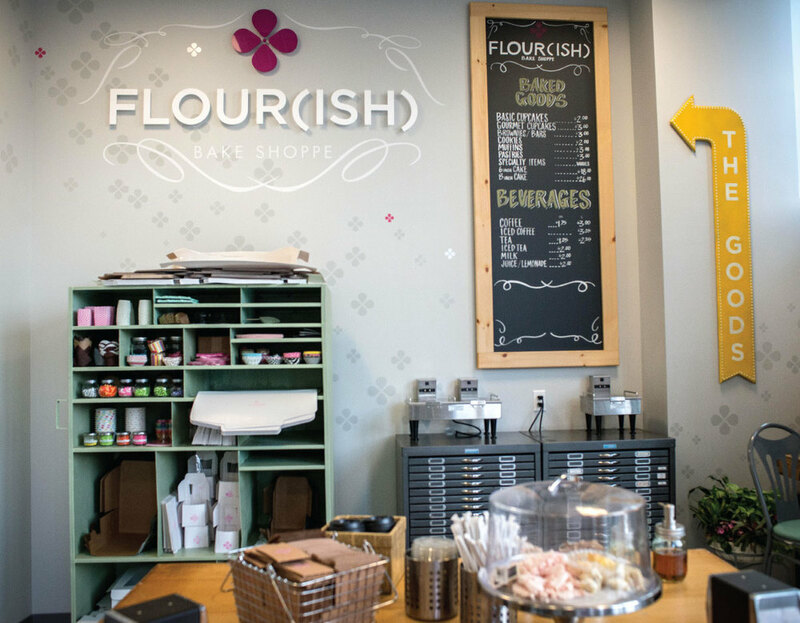 Shelving was custom made for the back candy jar wall as well as a standing breakfast bar in the front window for hurried commuters and coffee drinkers. Just like all the signage and decor, all the food is handmade and absolutely awesome!